The wheels on the bus aren't the only ones that go round and round. 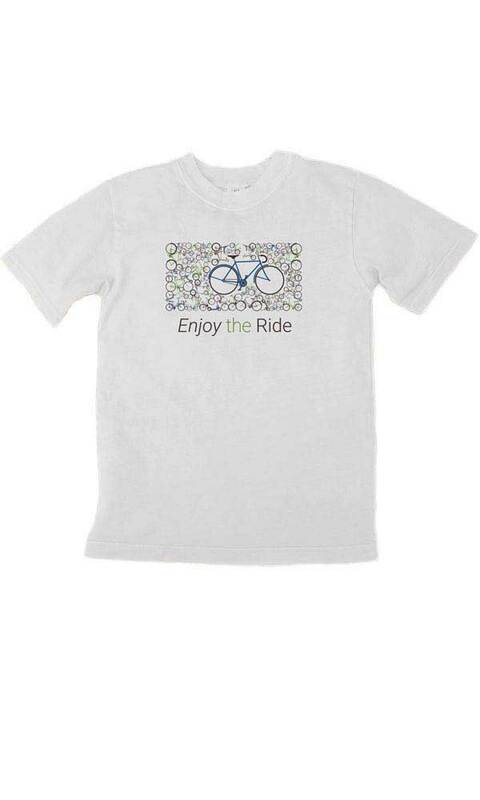 An adorable youth version for bike lovers of all ages. Printed using eco-friendly non PVC inks on our soft 100% organic cotton clay-dyed toddler/youth tee that will fit any child like a glove.